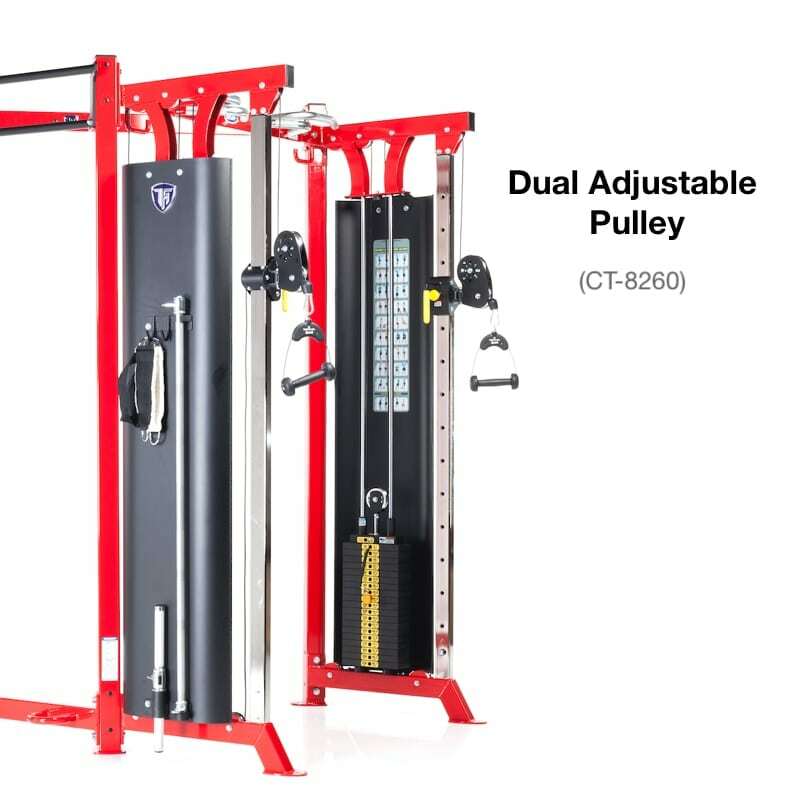 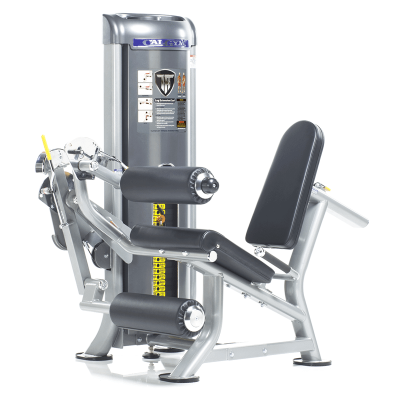 Made in the USA from materials only seen in the highest quality commercial strength equipment, TuffStuff’s Compact Fitness Trainer (CT-7100E) offers modular options, design elements and customization for people of all ages and fitness levels. 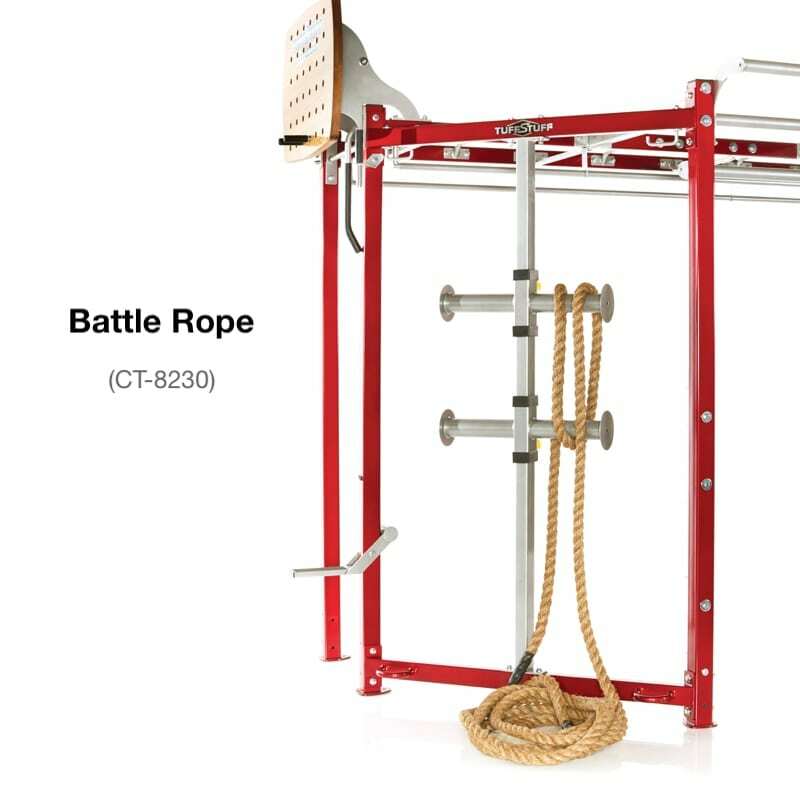 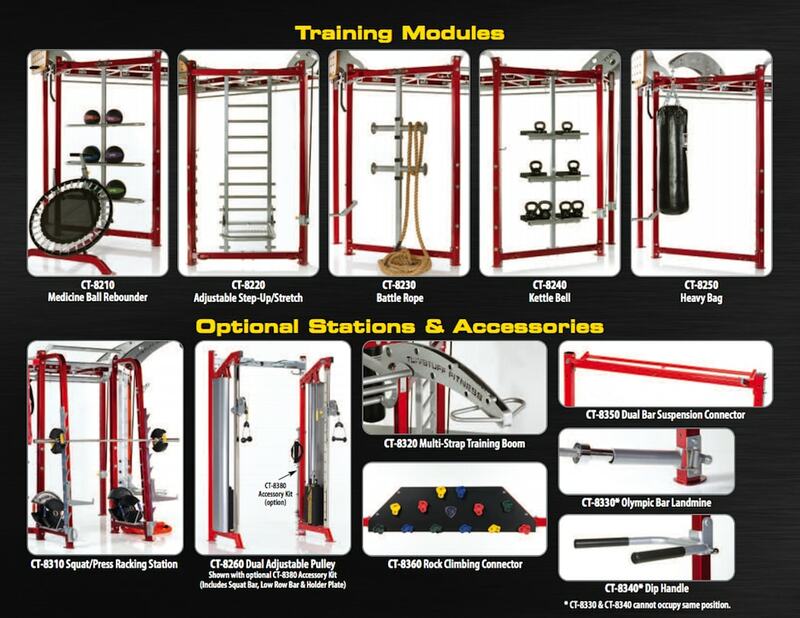 The CT Fitness Training System comes in various configurations and options. 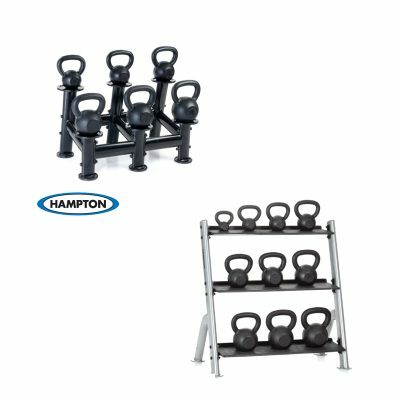 Call your sales representative to customize your choice of training modules, options and accessories, and for availability and costs. 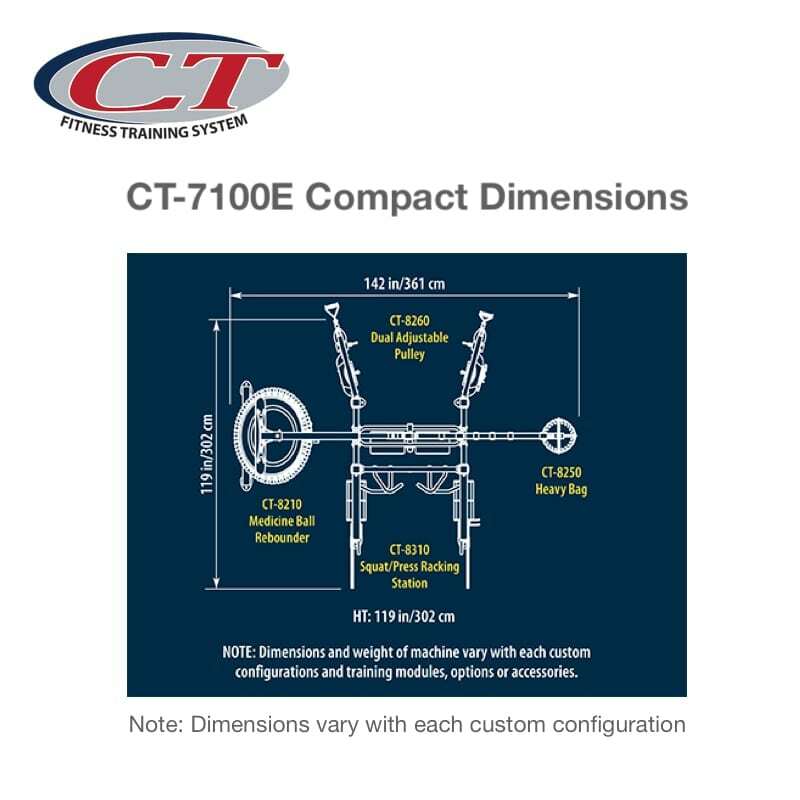 The Compact Fitness Trainer (CT-7100E) dimensions and weight vary with each custom configuration. 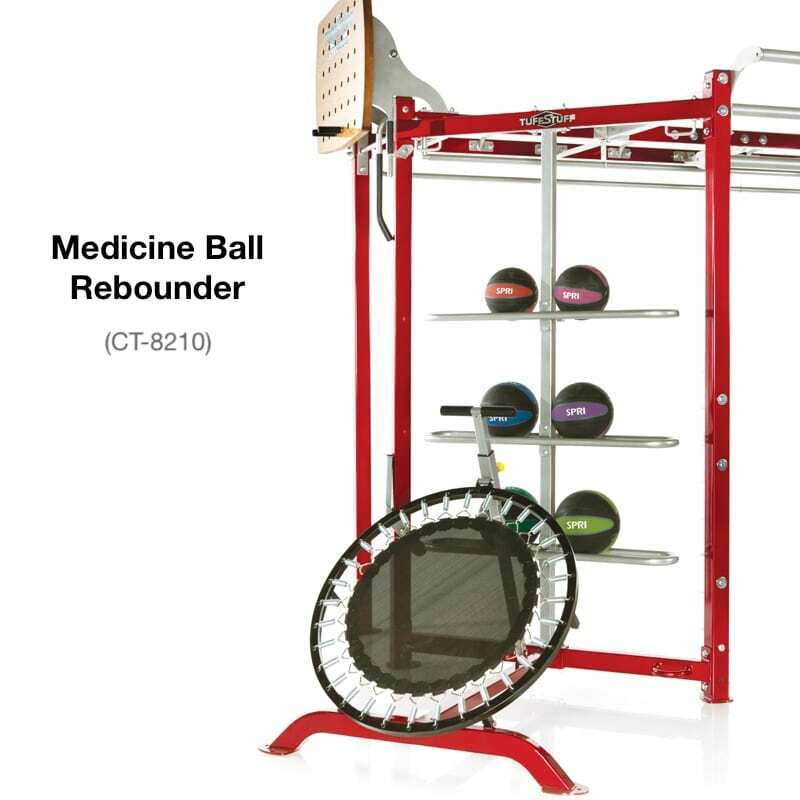 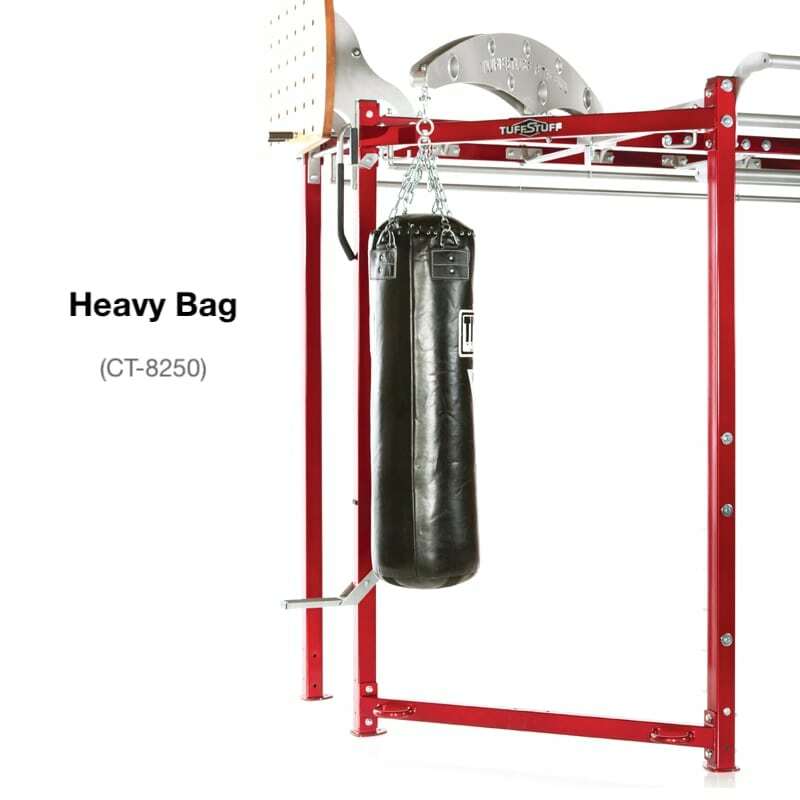 Featured Compact Fitness Trainer image shown with CT-8210 Medicine Ball Rebounder; CT-8250 Heavy Bag; CT-8260 Dual Adjustable Pulley and CT-8310 Squat/Press Racking Station. 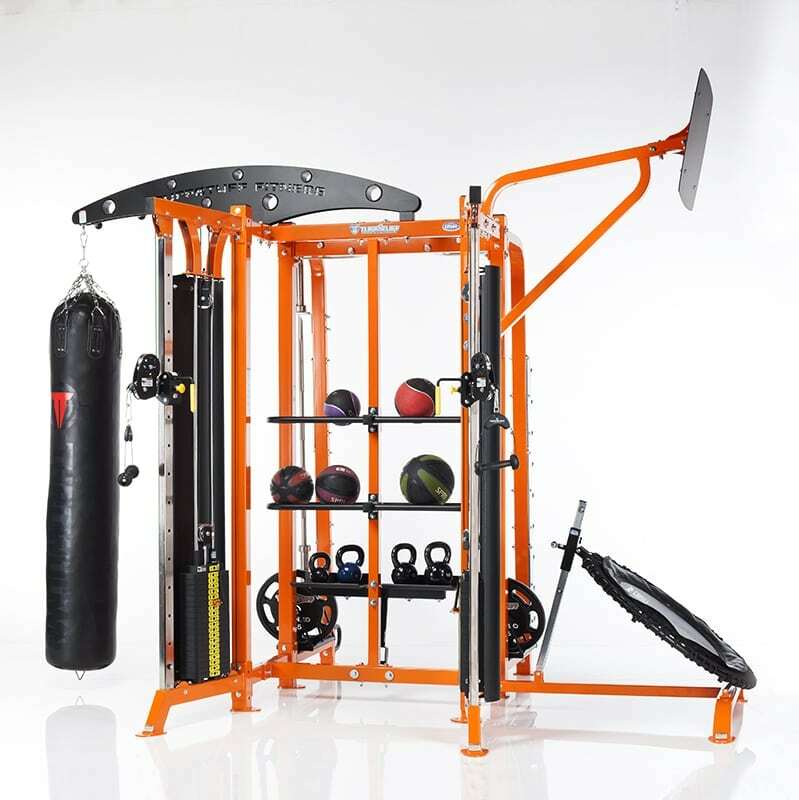 The creative modular design gives personal trainers, studio owners and full service fitness facilities the ability to build custom exercise stations that best suit their individual and group fitness needs. 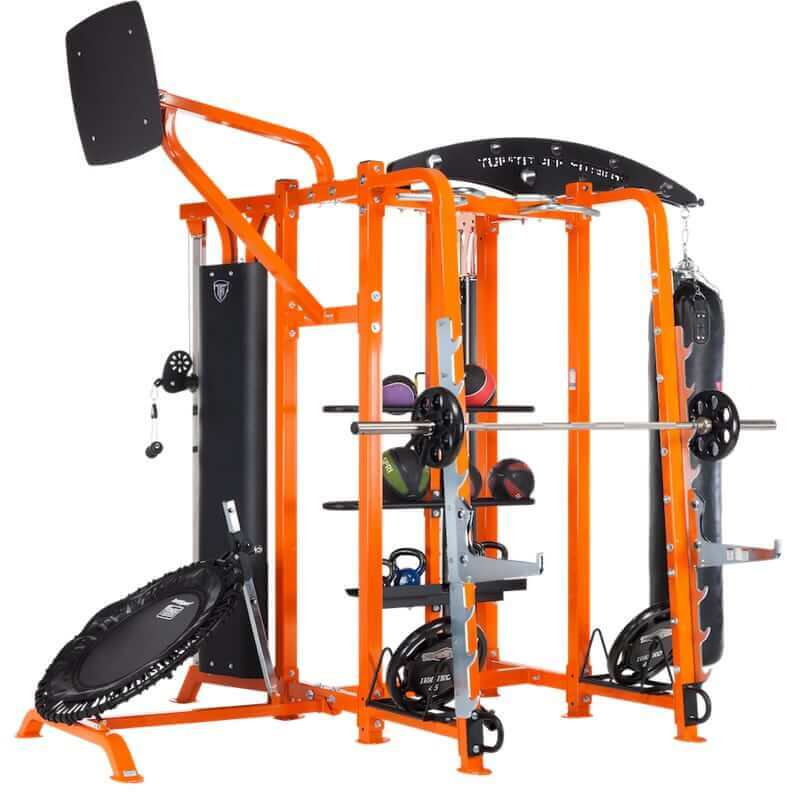 The Compact Fitness Trainer enables an avalanche of training protocols for large groups, boot camps, individual programs and cross conditioning circuits that emphasize every aspect of functional strength, flexibility and endurance. 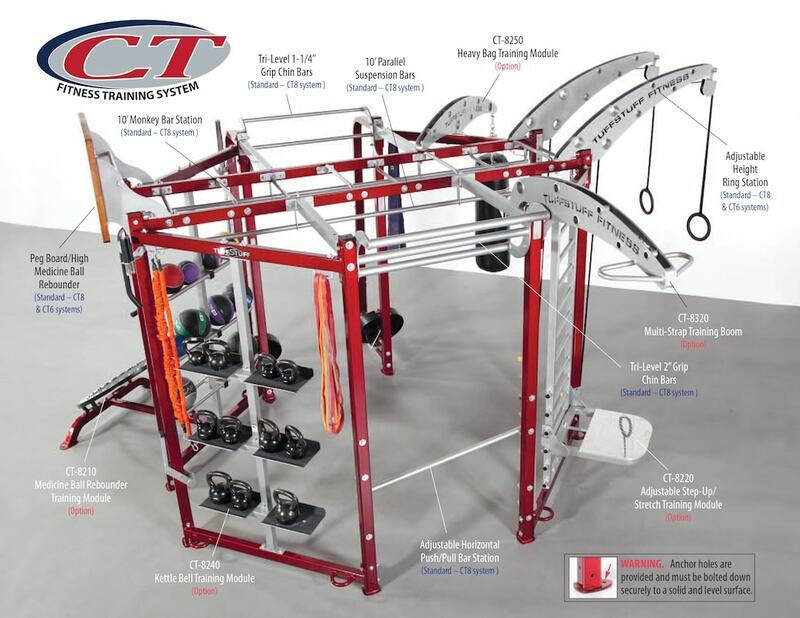 The CT is the perfect training system for clubs and studios looking to save cost and floor space, while maximizing their training options for revolutionary gains in revenue and profitability. 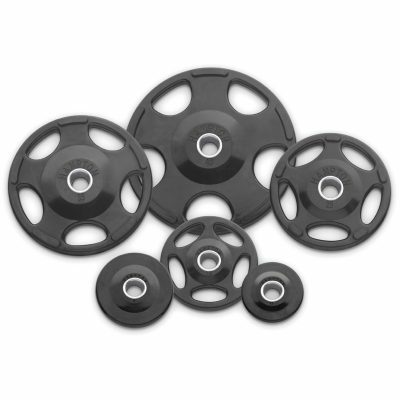 TuffStuff’s proprietary electrostatically applied powder coat finish and oven baked to insure durability. 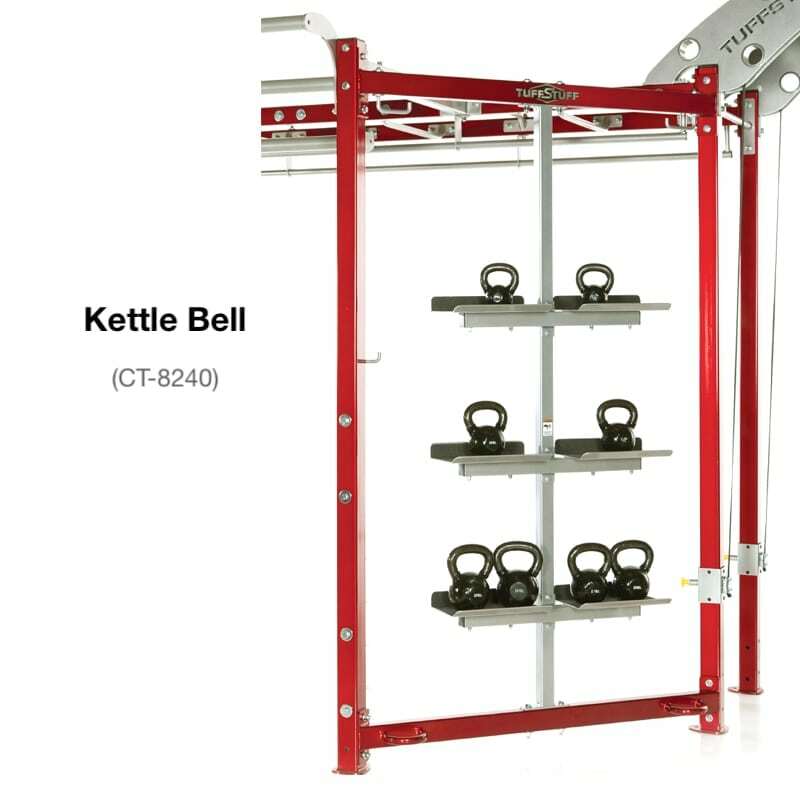 See photo gallery for color options – Please note: Finishes as shown are close representations of the actual powder coat colors, and SHOULD NOT be used for an exact match of the color. 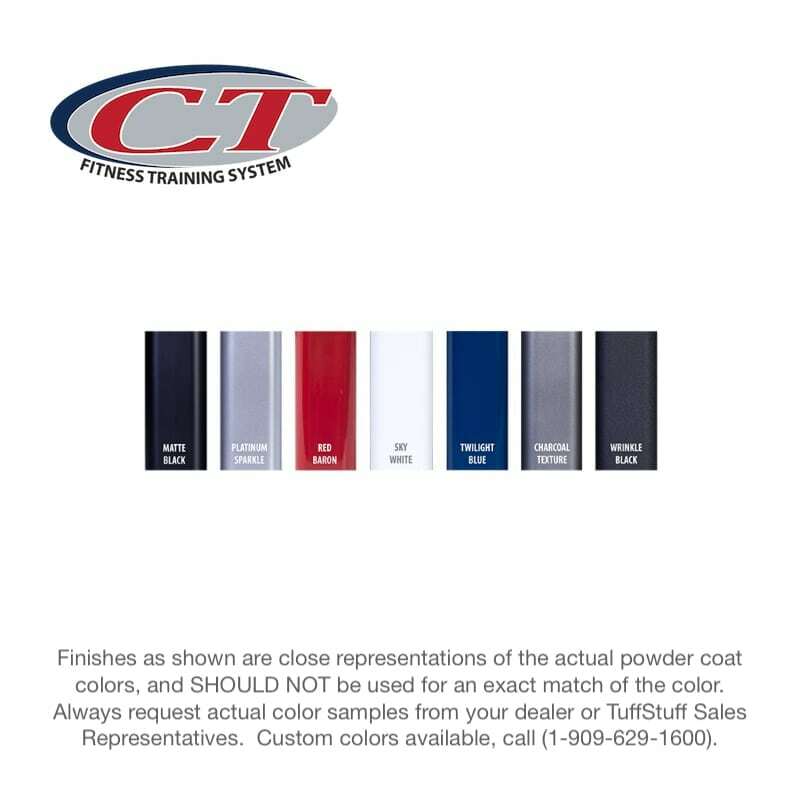 Always request actual color samples from your dealer or TuffStuff Sales Representatives. 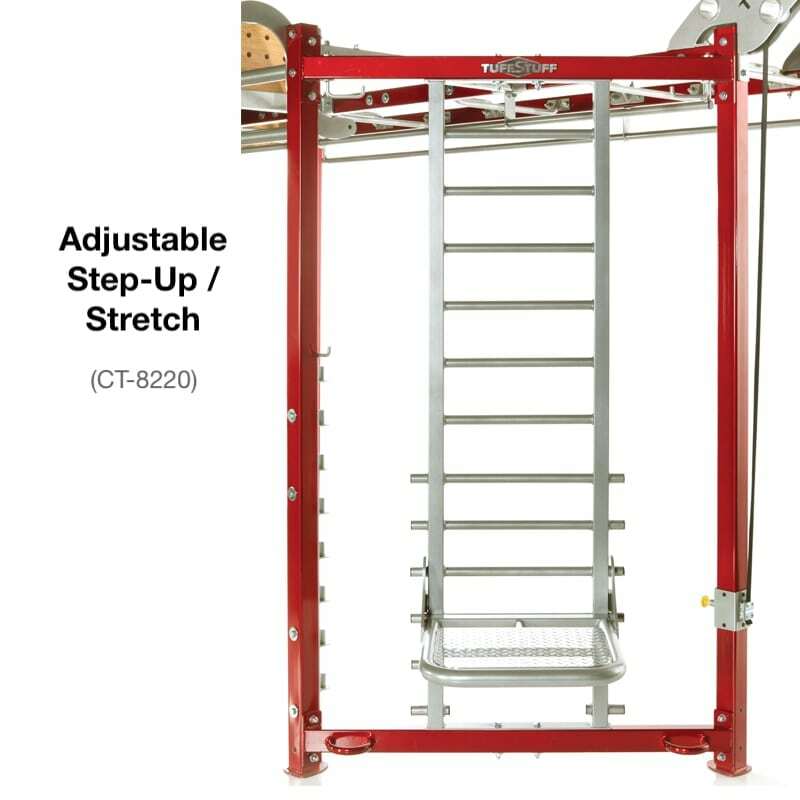 Custom colors available, call (1-909-629-1600).